Being a BIG fan of my local Flea Markets and Thrift stores I have seen many woven wall hangings from the 60’s and 70s in my travels. 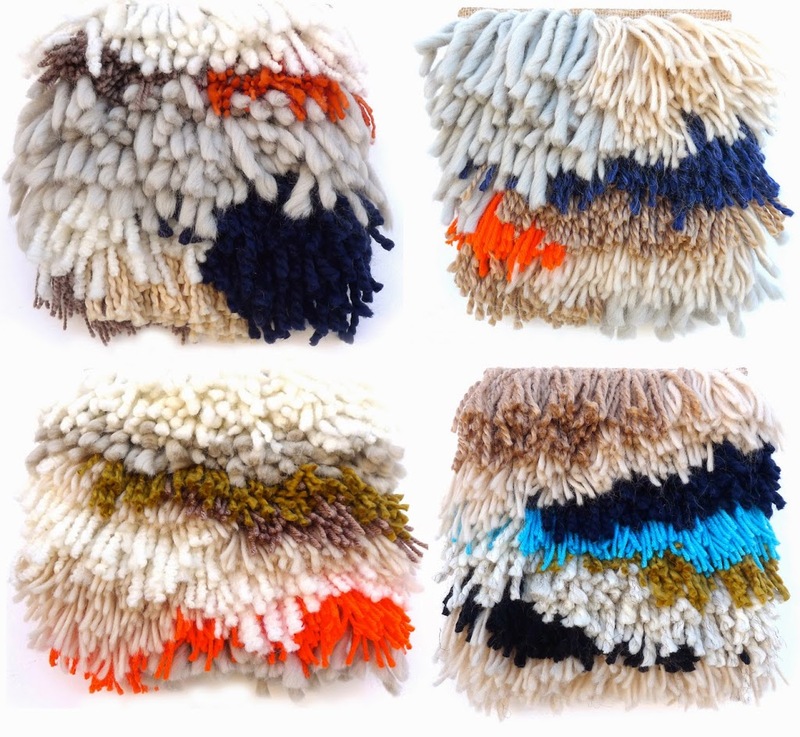 The fiber arts are here and mainstream. They are so fresh and add so much color and depth to your space. Check these cuties out…. These 8×8 wall poufs from Cold Picnic are SO FUN! They are each handmade and the color combinations are timeless. I’ll take one of each please! 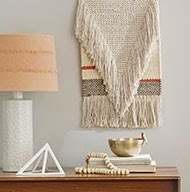 Nate Berkus is even in on this trend….I like the simplicity in the lines of this wall hanging. And for the price (around $35)…it just makes sense. Oh!!! I saw this on etsy….. Creds to Sonadorainlove! Eyes are filled with Pretty on this gem. 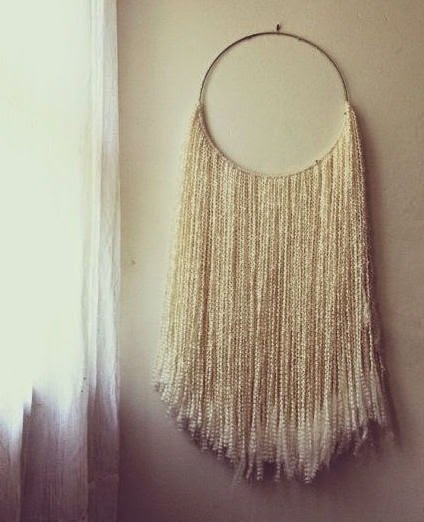 What do you think of these wall hangings? Are they here to stay? I love them! And I NEED that last one (on the hoop) on MY WALL!! !